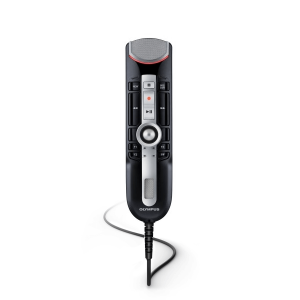 The Philips SMP3700 SpeechMike Premium Dictation Microphone is the latest innovation from Philips. 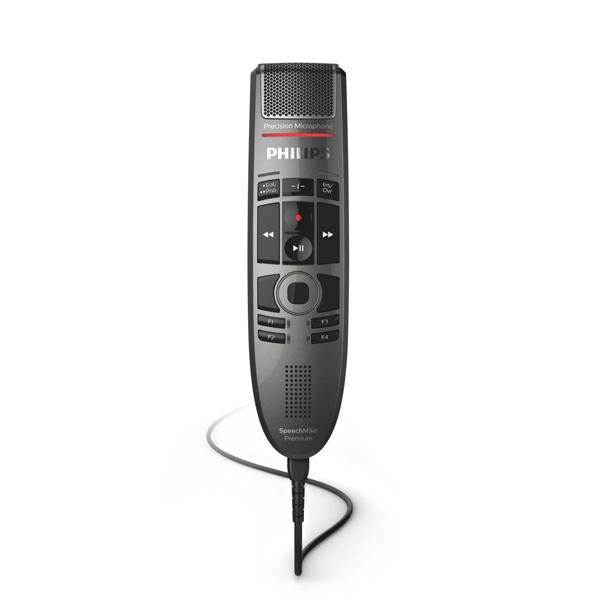 The free-floating microphone on the Philips SpeechMike Premium is decoupled from the device’s housing, which guarantees that almost no background, touch, click, air or structure-borne noise is recorded. 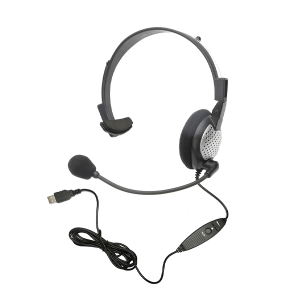 This technique is derived from studio microphones to make sure there are no sound distortions whatsoever and to guarantee outstanding speech recognition results. 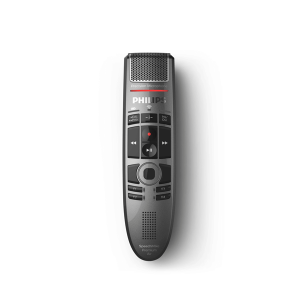 The Philips SMP3700 SpeechMike Premium Touch is equipped with an extra-large speaker, enabling it to not only record but also play back recordings in clear and crisp quality. 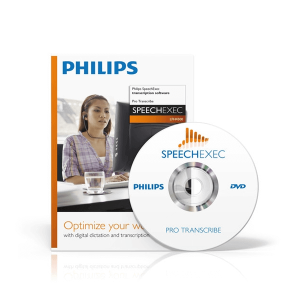 The Philips SMP3700 SpeechMike Premium Touch has freely configurable keys which are especially useful for programming speech recognition commands. The device can be personalized for any user and application.